Chelation therapy started as a branch of conventional medicine to remove heavy metals and other toxins from the body by introducing powerful chemical agents, which bind to the toxins and are subsequently excreted. This conventional form of chelation therapy is indisputably effective and often life-saving. In alternative medicine, chelation therapy is used in very different ways and has two main applications. First, alternative therapists use chelation to remove toxins, but the source of these toxins is unclear. For example, they may attempt to remove mercury which allegedly leaked from dental fillings or vaccines. There is, however, no evidence to suggest any toxicity from these sources. Thus chelation therapy is employed to fix a nonexisting problem. 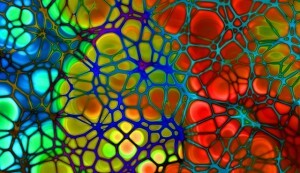 Second, chelation therapy is used for eliminating calcium ions from the blood, based on the notion that calcium deposits in the arterial wall are responsible for arteriosclerosis which, in turn, is seen as the cause of heart disease, stroke, peripheral arterial disease and other conditions. Consequently, alternative chelation therapists insist that their treatment is helpful for coronary heart disease, stroke prevention, peripheral vascular disease and a range of conditions from arthritis to osteoporosis. Alternative chelation therapists usually advocate a whole series of treatments. In total, this can cost the patient thousands of pounds. The claims that chelation is effective for coronary heart disease, stroke or peripheral arterial disease is based on outdated scientific theories. Chelation therapy has been tested repeatedly, but these clinical trials fail to demonstrate effectiveness. Serious adverse effects, including deaths due to electrolyte depletion, have been associated with chelation therapy. In fact, there have been nine documented deaths since 1990. Chelation therapy, as used in alternative medicine, is disproven, expensive and dangerous. We urge patients not to use this treatment.